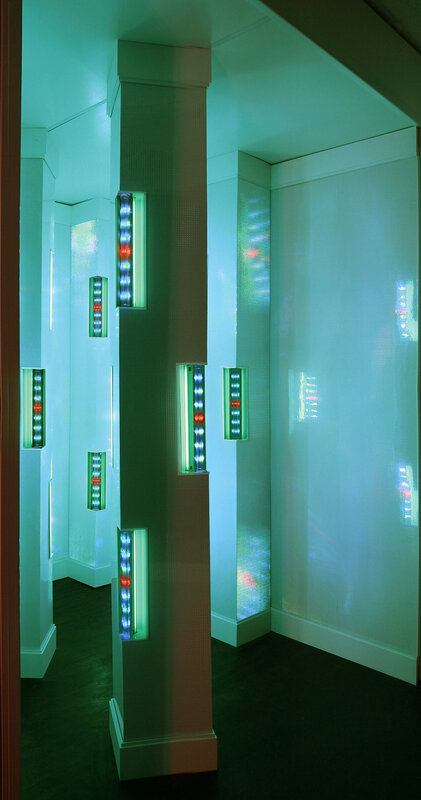 in niches cut from the columns’ corners are faced with LEDs beamed through prism rods for a jewel-like effect. The sheeting glows from the fluorescents, while simultaneously reflecting the LEDs. The viewer sees the multiple reflections on the surfaces, and at the same time feels like the walls are dissolving into endless space.